As your trusted dentist in McGregor, TX, our goal is to provide you and your family with quality, individualized care. Dr. Baber and our team enjoy helping our community smile brighter, and we look forward to being your partners in health. We offer comprehensive dental care that spans preventive, restorative, and cosmetic treatments, so you can take care of your needs, all under one roof. We also have a variety of payment options available, including insurance and our in-house savers plan, to make it easy on your wallet to look after your dental health. For more information, please visit our Financial page. Ready to plan your visit? We’re so excited to meet you! When you come in for your first appointment, we’ll ask you to complete our new patient forms. We use this information to provide you with custom tailored dental care. Your time is valuable to us, and we don’t want to waste it. If you would like, you can complete our forms at home, prior to your appointment. Just download them using the button below and hand them to our front desk staff when you get here. You are also welcome to email or mail them to us. Whatever is easiest for you! We are truly grateful each time a member of our community chooses Harris Creek Dental to be their dental home. 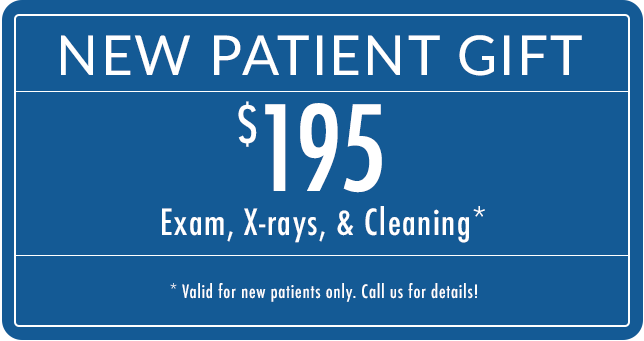 If you’re new to our office, please take advantage of our new patient gift. It’s our way of saying thanks!